Categories: Methyltrienolone (Methyl trenbolone), Oral. 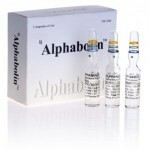 Tag: Alpha Pharma. TREN TABS is a powerful anabolic and androgenic steroid from the Indian pharmaceutical company Alpha Pharma. The main active ingredient – methyltrienolone. Methyltrienolone structurally resembles trenbolone, famous and powerful androgen that does not aromatize. The only difference between the oral form of the drug is presence in the active substance 17-alpha-methyl group, which protects methyltrienolone from destruction when passing through the liver, however, has serious toxic effects. The steroid was developed in France by the company, prior to that, engaged in the production of trenbolone. However, the drug has not been approved for mass production, because of the alleged high hepatotoxicity. It was considered that the degree of impact on the liver of methyltrienolone equal to the sum of Anadrol and Halotestin. However, reliable research data can be found. How to take Tren Tabs Increase power performance. The increase in muscle mass. Over the course Tren Tabs solo athlete can gain up to 10 pounds. Anti-catabolic effects. 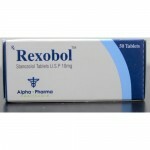 The steroid reduces the level of harmful hormone cortisol, which destroys muscle fibers. A doubling of production of insulin-like growth factor. Increased libido on the course (after the drug, there is a significant drop in the level of testosterone). Reduction of body fat. TREN Tabs stimulates the release of growth hormone, which further helps to fight obesity. 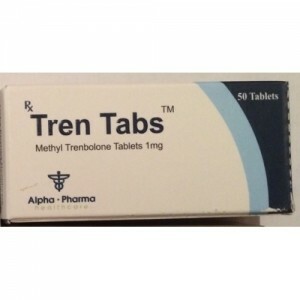 The course TREN TABS is not recommended for underage athletes, and is strictly prohibited for use by women, since high androgenic activity. 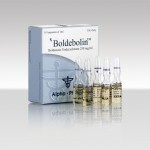 Recommended dosage is 1 milligram oral drug daily for two-three weeks. The tightening cycle is fraught with damage to the liver. As for how to take TREN TABS in combination with other anabolic and androgenic steroids, it is strictly not recommended in the course of oral drugs. The best solution would be to not receiving the AAS, and the right sports nutrition, vitamins (e.g., B6) and to protect the liver. It is recommended the use of alpha-lipoic acid and milk Thistle. Side effects of TREN TABS on account of the extent and frequency of adverse reactions caused by steroid controversy sharpened to this day. Many athletes believe the high level of danger oral TREN Tabs as a given, and not even questioning that. At the same time, there are publications claiming that the side effects from Tren Tabs too exaggerated, and opinions about, the steroid is supposedly 1000 times more powerful than testosterone, is not true. In General, the reality is that robust research and evidence from the pharmacological no (largely due to the fact that the steroid was not recognized as a medical drug). This files most often on the course TREN TABS there is a increase aggression and blood pressure, baldness, insomnia, acne and increase greasiness of the skin. 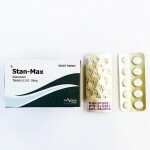 Given the high degree suppress the production of testosterone, the steroid can cause lethargy erection and testicular atrophy. To prevent such reactions used gonadotropin or cabergoline.